Betsoft presents the spicy 3-D cluster-pays slot ChilliPop which is based on a Mexican-food theme that combines a delicious concoction of ingredients such as free spins and exploding wins for prizes of up to €30,000! ChilliPop is a true cinematic cooking pot which dishes out a number of colourful and amusing ways to create a winning recipe of clusters. The anthropomorphic ingredients include any number of red chilli, yellow chilli, orange pepper, red pepper, green pepper, red tomato and scallion symbols. The slot also includes a fiesta-style Mexican tune. There are also amusing audio effects and animation during winning clusters and unlocked features. As we mentioned, this is a cluster-pays slot meaning a winning round is created with symbols that are adjacent horizontally, vertically or diagonally in sets of three or more. When a win is unlocked then the symbols explode like a festive piñata, giving way to new symbols that cascade from above, which can repeat for free provided new combinations are created. Free spins are triggered with three or more mule scatter symbols, appearing anywhere on the reels. Here you can collect anywhere from 5 free spins with 3 symbols to as much as 26 free spins with 15 symbols. While playing this feature, the mule no longer triggers free spins but is instead collected and added to the Mule Trail, which expands the 5-reels and 3-rows incrementally into 5x4, 6x4, 6x5, 6x6, 6x7, 6x8, 7x8 and 8x8 with collections of 5, 10, 17, 25, 35, 45, 55 and 70 mules. When we played the slots, we did manage to trigger the free spins on occasion. The piñata forming part of a winning combination acts as a multiplier whose value depends on the number of piñatas involved. Each piñata in a cluster win increases the multiplier by one. The wins get really interesting If you manage to completely fill the grid with wilds. Here you collect win multipliers of 50x, 75x, 100x, 200x, 300x, 400x, 600x, 800x or 1,000x with a grid of 5x3, 5x4, 6x4, 6x5, 6x6, 6x7, 6x8, 7x8 or 8x8 wilds. While we did manage to form winning clusters of multiple wilds, as you might have suspected, forming a complete grid was very difficult. The Double Up Game is triggered after every win during the normal games and gives you a 50-50 chance at double or nothing. You can choose to put your round winnings on the line, half your winnings, or collect all your winnings and bypass the feature. Playing is easy as all you need to do is call the result of a coin spin. 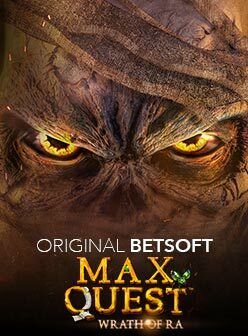 The Buy Feature has become a familiar feature with Betsoft which, for a price, buys you entry into the Free Spins Feature for a total of 10. This feature comes at a cost however which is displayed in the bottom right of the screen. 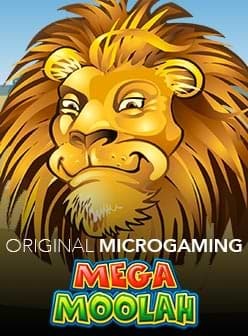 Chillipop slot, part of the developer’s Slots3 game range, has an RTP of 95.38% and can be played with wagers of between €1 and €30. It is available on desktop, mobile and tablet and goes anywhere you do on your iOS and Android.